His crime: nonconformity. His sentence: the chain gang. Paul Newman plays one of his best-loved roles as Cool Hand Luke, the loner who won't - or can't - conform to the arbitrary rules of his captivity. It recalls other hallmark Newman performances: Luke is the Hustler without a dream of victory, Harper without a moral mission, Hud without a father to defy. "Give an actor a good script and he'll move the world." 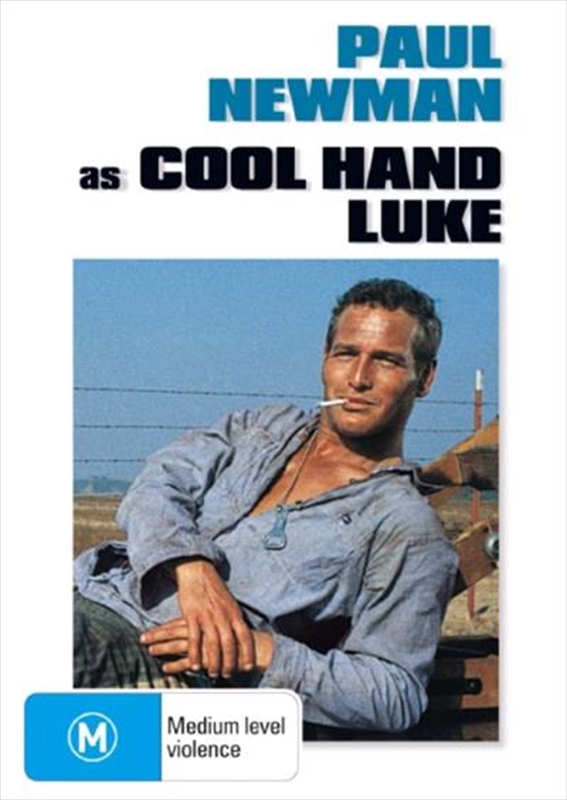 Newman said when pronouncing Cool Hand Luke one of the best scripts he'd read in years. "Luke is detached and indifferent, but he can't beat the system he scoffs at." There's good reason for the script authenticity: co-author Donn Pearce spent two years of his own life on a chain gang. A cast of character actors, including George Kennedy in his Academy Award-winning role of Dragline, gives Newman solid support as fellow prisoners. And Strother Martin is the Captain who taunts Luke wthe famous line, "What we've got here is... failure to communicate." No failure here. With rich humour and vibrant storytelling power, Cool Hand Luke succeeds resoundingly.